Our modern world is an increasingly diverse and multicultural place, which has sparked so much innovation and so many new ideas. This is especially true in the modern workplace, where people from all backgrounds come together to pursue careers and shared goals. However, cultural barriers can also stand in the way of harmonious operations and productivity without mutual respect in an office setting. Here are 5 ways to overcome cultural barriers at work and help employees be more mindful and respectful of cultural differences. Before diving into workplace diversity recommendations, we’ll look at some examples of when cultural differences may arise in a workplace setting. This is a common job interview question, but its importance goes much deeper than that. With an increasing number of employees working remotely and in temporary office spaces, like the Midtown Manhattan ones offered by NYC Office Suites, you are more likely to travel for work and encounter people from all around the world. Also, by simply working in a global hub like New York City, it is very likely that you will be working with diverse groups of people that may look, think, and act much differently than you do. Rather than avoiding the issue of diversity, think about people that you have met in your personal or professional life and how they have opened your eyes to other perspectives. Most people grow up hearing stereotypes about certain cultures that are often unfair or untrue. Take some time to learn about the various cultures of employees for your company and host a cultural awareness day for employees to attend. Before the event, encourage employees to put together short presentations about their cultural heritage or family traditions. Since each culture has its own holidays and significant dates, be open to learning about the types of events that are important to your employees. Respect your employees’ special days just as much as you would your own and allow time off when appropriate for them to celebrate culturally specific holidays with family. Another great way to build understanding and continuity among your diverse team is to take your team outside the office to experience each other in the real world. 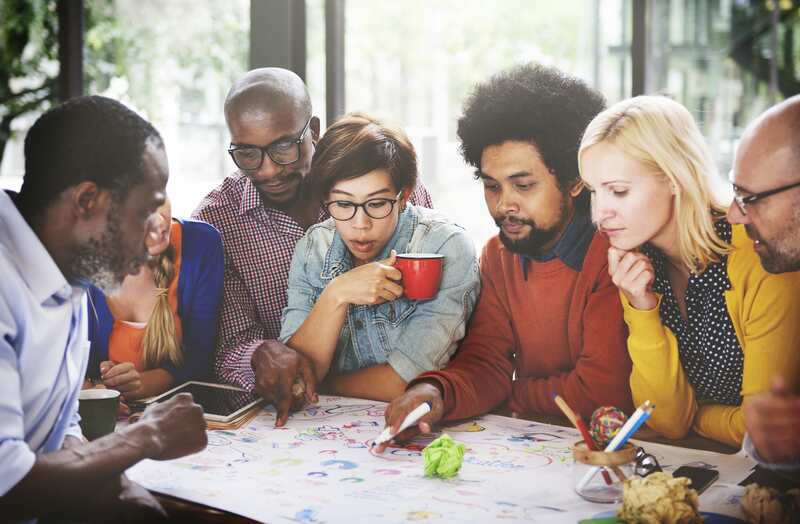 This can be as simple as going out as a group to lunch to a culturally diverse restaurant of a different employee’s choosing each month or perhaps even attending a weekend retreat focused on diversity and inclusion. Leading by example is something that business owners and managers are already very familiar with. But make sure to apply these principles to diversity when working with employees from different cultures as well. Prioritizing diversity means much more than just filling a quota or getting good PR. Keep the overall employee experience in mind after the hiring process is complete and consider cultural differences as a factor in everything from performance reviews to mentoring sessions and planning meetings. Diversity and your work culture go hand in hand, so ensure that your journey towards inclusion is aligned with your company’s brand. This requires more than just a single diversity training exercise or team meeting. Instead, working in a multicultural environment should be viewed as an ongoing opportunity for learning, progress, and growth. For these reasons and many more, there are countless benefits to working in a multicultural office. Not only can you learn a lot from other cultures in terms of work habits, organizational strategies, and conflict resolution, but you can also broaden your worldview and enjoy the companionship of some amazing coworkers. After all, finding common ground among cultures and adopting key ideas from each one is what helps modern businesses thrive and succeed in a competitive business environment.